If you thought people went crazy over fried halloumi cheese, then wait till you see what saganaki cheese does to them! 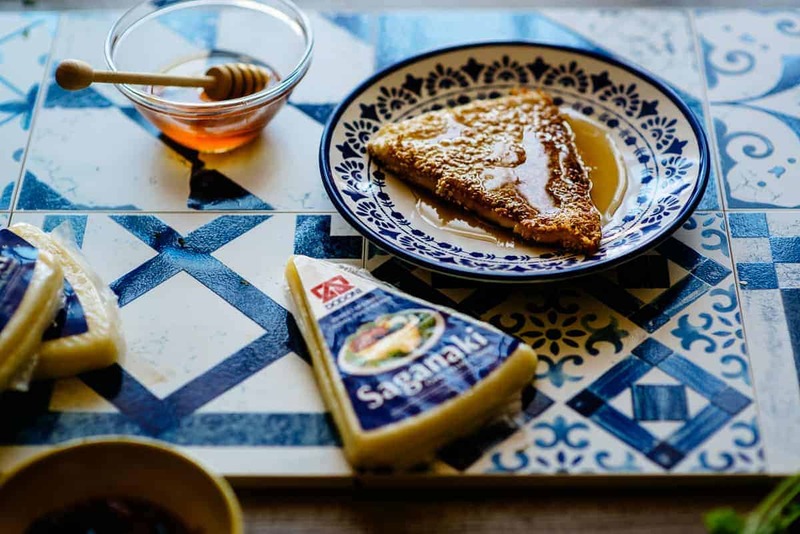 Saganaki (not be confused with prawn saganaki) is Kefalogaviera cheese that has been fried. As is usual in the Greek kitchen, it is simply moistened with a little oil, dredged lightly in flour and fried until it just begins to melt. It forms a gorgeous, crispy crust on the outside and all that it requires is a squeeze of lemon to finish it off. Again, I don’t think I’ve ever met anyone who has never liked this dish! 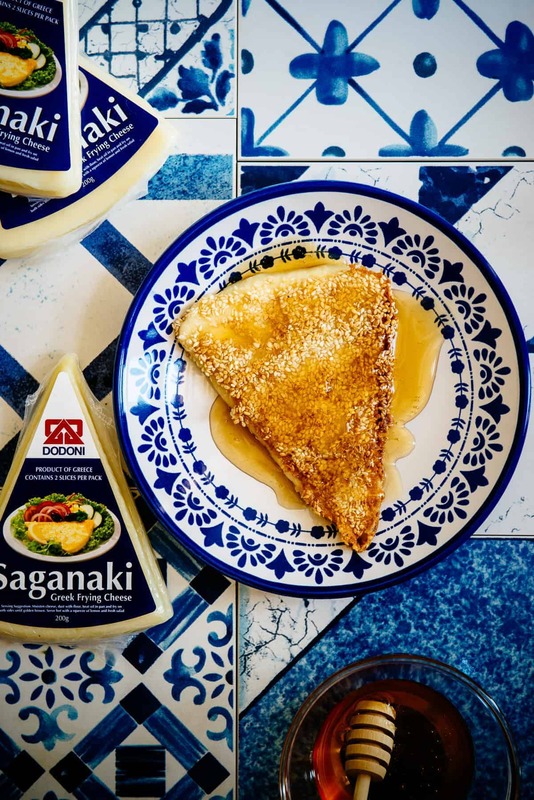 For today’s post I’m featuring the Dodoni brand of Saganaki cheese. It comes packaged in special 200g packs. I find that this is the perfect size to whip up this Greek specialty. The recipes feature somethng a little sweet, something a little sour and something a little spicy! Balance is the key word here! I think stepping out of your comfort zone is fun don’t you think? Saganaki with sesame seeds and drizzled with honey? Don’t mind if I do! This recipe was inspired by a dish I had in California at a Greek restaurant, many years ago! I also wanted to pair the cheese with some fruit and decided to poach some dried figs in a little balsamic and honey. This plays perfectly with the saltiness of the saganaki and it complements it well. And lastly, I went with Asian inspired flavours. Coriander lime and chilli are a perfect marriage and I was curious to see how they would work here. Surprisingly, this turned out to be my favourite! I hope you find a little inspiration to try these dishes. Scroll down to see the recipes. Thank you everyone and enjoy! Saganaki cheese cooked three different ways. It doesn't get better than this. Dip the wedges of cheese into the egg, followed by the sesame seeds. Ensure they are covered well. Fry in a pan over a medium high heat until golden and drizzle with honey whilst still hot. Combine the figs, balsamic, honey and water in a saucepan over a medium high heat. Cook for 10-15 mins. allowing the mixture to thicken and turn into a syrup. Set aside to cool. Fry the saganaki cheese until golden. Pour over half the fig mixture and serve immediately. Fry the saganaki cheese until golden. Squeeze over the lime juice and garnish with freshly chopped chillies and coriander.